Couples in distress Individuals with a history of any form of trauma. Send A Message To Rhonda. on your first therapy session! Rhonda is a registered psychotherapist with a Masters Degree in Counselling and is an experienced Individual, Marriage, and Family Therapist. 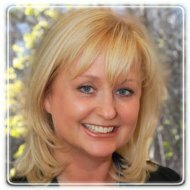 She maintains a private practice in the Tri-city area of Kitchener, Waterloo, and Cambridge, Ontario. Her approach is genuine, down to earth, and practical, using techniques and interventions that are well supported by clinical research. As well as addressing the full range of counselling needs for individuals, couples, and families, she has two specialties. After training extensively as a Family Systems Therapist she chose to specialize in couples counselling and trauma recovery. 1) Couples Counselling: Rhonda is passionate about helping people to understand and learn the practical skills that help their relationships to succeed. She has had the honour of studying and receiving supervision directly under Doctors John and Julie Gottman at the Gottman Institute in Seattle Washington. With this she learned to utilize emotionally focused techniques that help couples to strengthen their friendship, become more deeply connected and intimate, navigate conflict in healthy and respectful ways, and to cope more effectively with those stresses that get in the way of their happiness. She has extensive experience in supporting and guiding couples through affairs, co-existing problems like depression, recent and past traumatic events, blending families, and complex parenting issues. Rhonda is a registered psychotherapist and a licensed, Clinical Fellow and Supervisor Candidate with the AAMFT/OAMFT. She also remains fully licensed and registered with the College of Nurses of Ontario as well, having chosen this field as her undergraduate career, specializing in mental and public health. This puts her in a unique category of individuals qualified to address the full spectrum of mental health and social needs. 330 Trillium Drive, Unit A-1, Kitchener, Ontario.